To order products select your product Category and item from the main menu. The item details, quantity required input and, where appropriate, colour choice will appear on the main page. Where necessary when a colour is chosen, a representation of the colour will be shown to give an indication of your selection. N.B. This is NOT intended to show a true colour, just a guide to show that your choice is correct. If you require a complete colour chart, this should be ordered direct from our office. Should you need to return the goods, please advise us within 21 days. Goods should be re-packed securely and returned by a courier, enclosing the original delivery note with the words 'Returned' stated on it. The cost of the return is paid by the customer. Once received by us the customer will be refunded. We regret opened, part used or damaged items can not be refunded. Welcome to apolloinks.com, Screen Printing Ink makers. 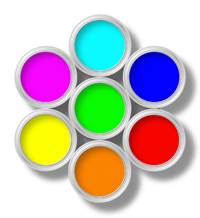 This is the on-line ordering website for Apollo Colours Ltd where you can find a wide range of our screen printing inks for both water-based screen inks for textiles or solvent based inks for plastic and metals, also glow in the dark and mirror effect screen inks. 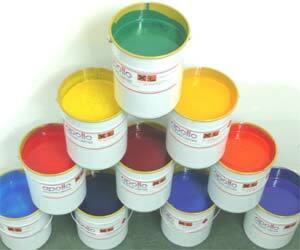 We have a wide colour range available which is normally ex stock. apolloinks.com allows you to purchase securely some of our most popular screen ink ranges at the touch of the button. 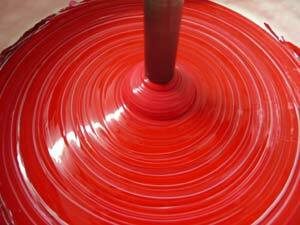 You also have the peace of mind knowing that the inks we sell, we manufacture. You are buying direct, not via a middle man, therefore NO mark up! Apollo Inks is a division of Apollo Colours Ltd.
apolloinks.com make Water Based Screen Printing Inks for cotton, and cotton blend textiles such as T Shirts and T Towels. For Work Wear printing we make Nylon Screen Printing Inks. We also have Screen Printing inks for Estate Agent Boards, Stickers, Labels, Signs, Banners, Folders, and Metals, and various plastics.